Written by Rm Harrington on . Posted in Air Conditioning Technology, Arizona Air Conditioning Upgrade Sale, News. AND… A dedication to quality A/C customer focus. Written by Rm Harrington on . Posted in AC Service, News. Gaining a reputation for reliable Phoenix air conditioning services is never a singular process. It starts with being good at what you do, but that too never comes easy. There is a learning process wherein broad-scope knowledge of product, acquirement of superior technical skills and dedication to customer satisfaction begin long before company doors are opened for active HVAC services. In this article, we explain why American Cooling and Heating (ACH) ranks among the best Phoenix air conditioning companies in the market. AND Excellency in products and services. AND All this while without ever falling short in our commitment to thoughtful, value-added assurance of customer satisfaction. 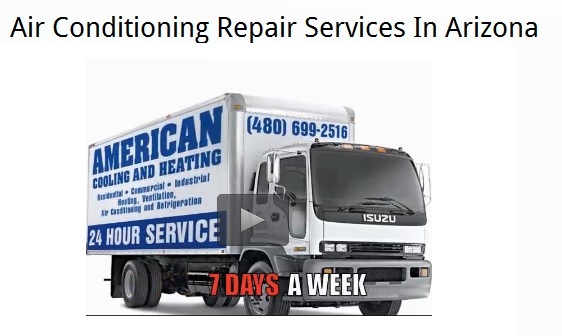 Although our primary focus settles on being a great and reliable Arizona AC service company, reaping rave Phoenix air conditioning reviews comes as a natural byproduct of our tested and proven business characteristics. We set and meet stringent personal performance commitments and goals. Successful business plans need not be complicated, but they must purposefully define clear and achievable company goals. Product performance marches side-by-side with reliable technical services. Financial success walks hand-in-hand with consumer faith in the durability of our company. In every area of ACH company evaluation, our plan lays out a proven path to steadfast company growth in the Arizona HVAC market center. Thus our customers are assured of reliable service guarantees. Discussions concerning company financials seldom show up as a component of rave Phoenix air conditioning reviews. Yet strong company profits assure company longevity, which in turn establishes enduring company presence as a reliable Arizona heating and air-conditioning resource. Yet zeal for quality is the foundation of financial success. By coupling love of product and service to company goals and an overwhelming zeal for quality in performance, we find ourselves always seeking the best for ACH customers. According to business coach Ron Finklestein, “company culture” defines the core path for proficient and effectual success in business (1). At American Cooling and Heating, every employee performs in the areas best suited for their specific skill-sets. We assist, motivate, and train according to company goals and plans. Effective customer satisfaction requires satisfied employees. Our team has a focus on customer needs, and the processes that fully reflect and uphold the integrity of ACH. Although companies that promote “reputation management” clutter the Internet, any promise of positive online reviews ultimately hinges on the effectual success of the company being promoted. We are not here to reap rave phoenix AC reviews. In fact, nearly every HVAC repair company in Arizona has a listing on Angie’s List, BBB, Facebook, Yelp and more. AND a faithful dedication to company integrity in all matters of Phoenix air conditioning services. Written by Rm Harrington on . 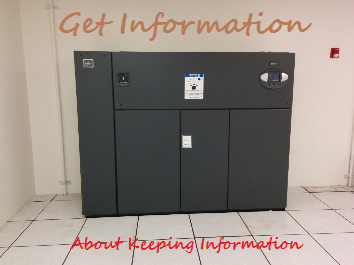 Posted in AC Service, Heat Pumps, News. Once again Trane HVAC products shine with the best. It came out in the 2014 Consumer Reports brand-name review of the nine most popular HVAC brands in air conditioners, heat pumps and furnaces. Readers of CR posted over 55 thousand comments. The topics discussed included conversations covering seven years of home heating and cooling products and thoughts about product performances. The HVAC equipment lineup included, Amana, Carrier/Bryant, Goodman, Lennox, Rheem, York, and the twin brand Trane / American Standard units. And, although the Trane performance defect rating came in at 17%, homeowners should consider that this was the average lowest score products was also 17% thus indicating a universal failure complication with heat pump products. In the category of standard central A/C systems, American Standard pulled performance top place for systems with the lowest need for repairs (Trane came in Third but one should remember that these two products are lines from the same parent company). 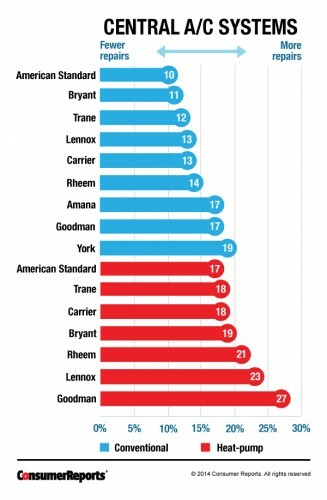 As to heat pump performance with the least need for repairs, American Standard again took first place while Trane tied for second place with Carrier. Thus we have the same company holding top honors for HVAC equipment needing the least in repair-related service work. For performance comparison, consider that all other HVAC competition came in with a 19 to 27 percent demand for product repair calls. As to natural gas furnace systems, Trane once more bested the pack by providing low-demand on repair calls. Trane gas furnace units maintained a low 13 percent demand for repair whereas the bottom line competition slumped down to a whopping demand for system repairs on 26% of their natural gas HVAC equipment furnace products. “Our readers also reported that when the more-repair brands of central air systems do break, they are more likely than most other brands to leave the home without cooling for at least a day, as reported by about one in 10 people who owned the more repair-prone brands,” (From Consumer Reports article, Brands Most Likely To Keep You Cool Season After Season (1)). According to survey responses, homes using a brand of central heat pump that rates among the higher repair-prone listings end up leaving 12 percent of the owners without cooling for time periods exceeding one day. Furthermore, 11 percent of those homeowners report a $150 plus repair price tag. Causes associated with such “extra” home cooling expenses include considerations for the greater complexity of a heat pump versus a central A/C system. Even though worse case scenarios present a 21 percent HVAC system repair ratio among heat pumps versus a 13-percent HVAC system repair ratio in homes running central air conditioning units, homeowners must understand that the duel nature of a heat pump means you are using a system that may well run year-round rather than merely seasonally. Further CRNRC surveys reveal a basic consumer complaint wherein central air conditioning system repairs are defined as “a real hassle.” As to total-system breakdown, three percent of the homeowners using central A/C report complete system failures whereas four percent of the homeowners using a heat pump system complain of the same problem. As one of the major HVAC system manufacturers in the world, Trane offers reliable heating and cooling equipment to businesses, homes, and industry. Pricing per product is relatively the same regardless of the vendor. However, the quality of the product installation and the reliability of the workmanship warranty can greatly differ from vendor to vendor. If you want professional Arizona HVAC service and/or system installation for a reasonable price and from an established and reliable Trane HVAC equipment sales, installation and service center, contact American Cooling and Heating now! Written by Rm Harrington on . Posted in Air Conditioning Technology, Arizona Commercial Air Conditioning HVAC, News. It seems every year that Arizona temperatures increase and the cost of commercial cooling shoots higher and higher. With the coming of each new summer season, the demand for climate friendly refrigeration elevates and the environmentally mindful sweat even more. But for Arizona business owners and operators, the cost of staying in business seems often to outweigh the price of environmental climate issues. For many local business owners, cost-saving options are shrinking rather than increasing. To deliver an expected service or product in the face of raging Arizona heat waves, these owners and managers must run powerful commercial cooling units – A/C systems designed to keep large buildings comfortable and to ensure that information management components can function consistently and reliably day after steamy hot day. For those of us trying to keep an ear out for better alternatives on Arizona climate friendly refrigeration solutions, relief may yet be on the horizon. Trane, one of the most reliable modern HVACR manufacturing and development firms, has revealed a newer, better, and more climate-friendly refrigerant. Announced at a recent company conference, DR-55 is slated for availability within the next year for commercial usage and a bit more after that for residential. The new refrigerant dubbed the Trane AquaTrine is geared specifically for commercial businesses and hotels. Billed as the next generation of coolant, Trane AquaTrine promises to provide improved efficiency and stability to the HVAC industry. This is good news for every business that is looking to save some money while also delivering a greener footprint to the Earth. For most consumers making a business effort to reduce their company impact on local and world climate change, AquaTrine may be the new and great solution to an extremely difficult task. Research and testing conducted by engineers at UC Davis has shown that the DR-55 refrigerant performs 10 percent better overall in outdoor air conditioning. It also promises up to a 70 percent reduction in emissions for the environment. Comparisons are based upon the performance of R-410A, the current standard found in over half of U.S. commercial buildings. And because the new DR-55 occupies the exact same space as the older units, the transition is seamless and will not require any special work or fees. Modern Trane progress in commercial cooling is no accident. This company continually challenges themselves, their employees, and their customers to make energy efficiency and environmental impact a moving goalpost. The aim: Continually hit new milestones every decade. Example: By the year 2020, Trane hopes to offer future businesses and residents an air conditioning product that can reduce emissions by up to 35 percent reduction of current measurements. Furthermore, the company plans to reduce their necessary product and operations by up to 50 percent, and this in the same time frame. Right now, even as you read, Trane is spending hundreds of millions on research and development. They do not intend to meet the year 2020 without fulfilling these remarkable milestones of growth, performance, and changes in climate friendly refrigeration. Many Arizona commercial business owners speak of customers with a more inquisitive concern for “green operations.” Wise operators cannot longer easily ignore such consumer concerns, especially with the word-of-mouth information age so quickly spreading current news. For more information on Arizona commercial cooling and new technology in Arizona climate friendly refrigeration, contact American Cooling and Heating now. Written by Rm Harrington on . Posted in Air Conditioning Technology, Air Purification, News. Several months have passed since the January 2015 Builder’s Best Practices show featured Trane home cooling and heating products as an example of reliable home comfort solutions. 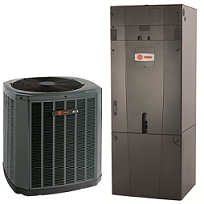 At the show, Trane came on-line announcing new upgrades on the Trane TruComfort™ variable speed heat pump system as well as assorted connected control products and indoor air quality management products. The primary focus covered products that enable better energy-efficient home HVAC performance. The ideas provided within this International Builder’s Show offered building industry experts an opportunity to assembly a proven collection of reliable home construction solutions. For details on the 2016 IBS, visit the online Best of IBS resources at Builders Show home central. As a global leader in the production of reliable energy-efficient home comforts, resources and services, the Trane brand of Ingersoll Rand (IR) was on-hand to display the latest products in the home HVAC and home comfort marketplace. The results include a New American Home showcase in new technology that is even now ready to increase the savings and comfort in your Phoenix, Arizona home. Trane CleanEffects provide revolutionary air-cleaning technology designed to cut through the lingering patterns of poor indoor air quality. The Trane boast: CleanEffects delivers clean air at a rate eight times more efficient than the best of the best HEPA filter systems, and over 100 times more effective than the base 1-inch home central air filter system. 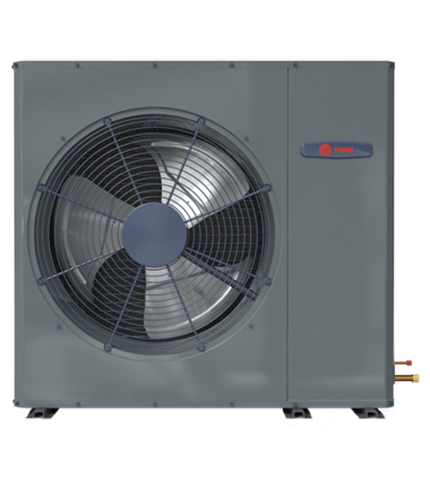 TruComfort™ Variable Speed Heat Pumps offer precision control over your home heating and cooling needs. 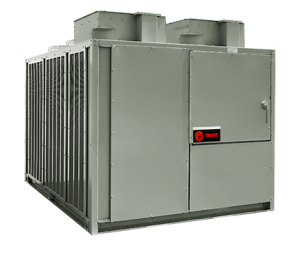 Features include: a variable speed compressor, variable speed indoor and outdoor fan systems, comfort assurances within 1/2 degree of the thermostat settings. TruComfort™ product ratings reach up to 10 HSPF and 20 SEER. ComfortLink II XL950, the command center that includes a 7-inch color touch screen. Compatible with the Nexia™ Home Intelligence system, the XL950 includes features for remote-control management of home cooling and heating resources. It’s energy saving, reliable, and convenient. In the aftermath of the 2015 International Builder’s Show and the New American Home tour, the new Trane HVAC products are readily available, in demand, and in use throughout American homes. In general, consumers express satisfaction and confidence in the performance of the products. If installed by professional air conditioning teams, these new Trane home comfort products meet and exceed the promised delivery for pure air, reliable heating and cooling, and energy-efficient management features. For more info on new Trane home cooling and heating products, contact your local branch of American Cooling and Heating now.